Dinos, age 47, has published the Fullcourt Press (a recruiting service publication and website covering West Coast High School and JUCO basketball) since 1994. Currently, over 125 schools (at all college levels) subscribe to this publication including such programs as UCLA, Arizona, Stanford, Duke, Memphis, Michigan State, North Carolina, UConn, USC, Kentucky, Kansas, Michigan, Georgetown, Temple, Virginia, Syracuse, Indiana, Baylor, Cincinnati, Maryland, St. John’s, Utah, Cal, Arizona State, Gonzaga, Oregon, Oregon State, Washington, UNLV, Washington State, Auburn, Missouri, Texas, Providence, Alabama, Georgia, Seton Hall, Fresno State, Clemson, Iowa State, UMass, Villanova, Louisville, Nebraska, Northwestern, St. Joseph’s, Vanderbilt, Tennessee, Illinois, Texas A&M, Texas Tech, Xavier, Iowa, Wyoming, SMU, BYU, UTEP and New Mexico. Trigonis is a 1989 graduate (B.A. political science) of Long Beach State and a 1992 graduate (J.D.) of Temple Law School. ﻿​In 1997, Dinos founded the Eddie Jones All-Star Classic (which was for a period renamed the Dada All-Star Classic) which has showcased such top prep All-Americans as Richard Jefferson (Arizona/San Antonio Spurs), Gilbert Arenas (Arizona/Orlando Magic), Drew Gooden (Kansas/Milwaukee Bucks), Earl Watson (UCLA/Utah Jazz), Stephen Jackson (Charlotte Bobcats), Jamaal Crawford (Michigan/Los Angeles Clippers), Tayshaun Prince (Kentucky/Detroit Pistons), Kirk Hinrich (Kansas/Washington Wizards), Freddie Jones (Oregon/Indiana Pacers/NBA Dunk Champ), Luke Walton (Arizona/Los Angeles Lakers), Rasul Butler (La Salle/Los Angeles Clippers), Jerome Moiso (UCLA/Toronto Raptors), Kareem Rush (Missouri/Philadelphia 76'ers), Korleone Young (Detroit Pistons), Leon Smith (Dallas Mavericks), Matt Barnes (UCLA/Los Angeles Clippers), Alvin Jones (Georgia Tech/Philadelphia 76’ers), Lonnie Baxter (Maryland/Toronto Raptors), Jason Parker (Kentucky), Sam Clancy (USC/Philadelphia 76'ers), Tito Maddox (Fresno State/Houston Rockets), Jeff Trepagnier (USC/Denver Nuggets), Schea Cotton (Alabama), Desmon Farmer (USC/San Antonio Spurs) and Travon Bryant (Missouri/Greek Pro League). 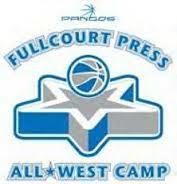 In July 1999, Dinos (with Etop Udo-Ema) established the Fullcourt Press All-West Camp – annually showcasing 300-plus of the West Coast’s top HS players for college coaches and scouts (over 250 attended last year). 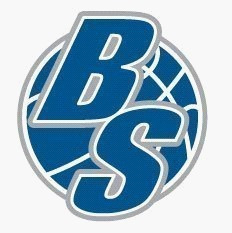 ​In June 2003, Dinos created the Pangos All-American Camp which annually attracts 100-plus of the nation's top HS players as well as several of the top recruiting scouts in the nation - Clark Francis (Hoop Scoop), Dave Telep, Paul Biancardi & Joel Francisco (ESPN.com), Jerry Meyer (247Sports.com), Eric Bossi (Rivalshoops.com), Frank Burlison (BurlisonOnBasketball.com), Van Coleman (The Basketball Channel), Evan Daniels, Rob Harrington & Josh Gershon (Scouthoops.com), Doug Gottleb & Seth Davis (CBS Sports), Scott Phillips (NBCSports.com), Jonathan Givoney (DraftExpress.com), Aran Smith (NBADraft.net) and Brick Oettinger (PrepStars.com). Top players that have participated here include John Wall (Kentucky/Washington Wizards), James Harden (Arizona State/Houston Rockets), Brandon Jennings (Detroit Pistons), DeMar DeRozan (USC/Toronto Raptors), Derrick Favors (Georgia Tech/Utah Jazz), Jrue Holiday (UCLA/New Orleans Hornets), Robert Swift (OKC Thunder), Dorrell Wright (Portland Traiblazers), CJ Miles (Utah Jazz), Kyle Lowry (Villanova/Toronto Raptors), Arron Afflalo (UCLA/Denver Nuggets), Gabriel Pruitt (USC/Boston Celtics), Javaris Crittenton (Georgia Tech/Washington Wizards), Jerryd Bayless (Arizona/Milwaukee Bucks), Russell Westbrook (UCLA/Oklahoma City Thunder), Anthony Randolph (LSU/New York Knicks), Austin Daye (Gonzaga/Detroit Pistons), Deandre Jordan (Texas A&M/Los Angeles Clippers), JJ Hickson (NC State/Cleveland Cavaliers), Jared Dudley (Boston College/Milwaukee Bucks), Wes Mathews (Marquette/Portland Trailblazers), Jordan Hill (Arizona/Los Angeles Lakers), Taj Gibson (USC/Chicago Bulls), Quincy Pondexter (Washington/Memphis Grizzlies),Jeff Pendergraph (Arizona State/San Antonio Spurs), Gani Lawal (Georgia Tech/Phoenix Suns), Landry Fields (Stanford/Toronto Raptors), Harrison Barnes (North Carolina/Golden State Warriors), Jamal Boykin (Duke/Cal), Davon Jefferson (USC/French Pro League), Lorenzo Mata (UCLA), Lance Thomas (Duke/New Orleans Pelicans), Deon Thompson (North Carolina), Howard Thompkins (Georgia/Los Angeles Clippers), Patrick Christopher (Cal/Utah Jazz), Drew Gordon (UCLA/New Mexico), Malcolm Lee (UCLA/Minnesota Timberwolves), Dequan Jones (Miami FL/Orlando Magic), Derrick Glasser (Arizona State), Jeff Withey (Kansas/New Orleans Pelicans), Michael Snaer (Florida State), Andre Dawkins (Duke), Derrick Williams (Arizona/Sacramento Kings), Chandler Parsons (Florida/Dallas Mavericks), Jordan Hamilton (Texas/Los Angeles Clippers), Chasson Randle (Stanford), Joe Jackson (Memphis), Anthony Brown (Stanford), JT Terrell (Wake Forest), Doron Lamb (Kentucky/Orlando Magic), Hollis Thompson (Georgetown), Darius Morris (Michigan/Brooklyn Nets), Andre Drummond (Detroit Pistons), Shabazz Muhammad (Minnesota Timberwolves), Brad Beal (Washington Wizards), Anthony Bennett (Minnesota Timberwolves), Doug McDermott (Chicago Bulls), Aaron Gordon (Orlando Magic), Zach LaVine (Minnesota Timberwolves/2015 NBA Dunk champ) and Terrence Jones (Kentucky/Houston Rockets). ​Dinos founded and organizes the top basketball event on the West Coast - Pangos Dream Classic (originally the MLK Holiday Challenge) held every January. In 2003, the Dream Classic featuring the #1 pick of the 2003 NBA Draft LeBron James (Cleveland Cavaliers) drew over 12,500 fans, scouts and college coaches as well as a national ESPN2 audience. The 2004 Dream Classic showcased three 2004 NBA draft lottery picks: Dwight Howard (#1 pick to the Orlando Magic), Robert Swift (#12 selection to the Seattle Supersonics) and Sebastian Telfair (#13 choice to the Portland Trailblazers). Other NBA players that have showcased their skills here include Paul Pierce (Boston Celtics/Washington Wizards), Baron Davis (Los Angeles Clippers), Tayshaun Prince (Detroit Pistons/Memphis Grizzlies), Tyson Chandler (Dallas Mavericks), Jason Collins (Atlanta Hawks), Jarron Collins (Phoenix Suns), Casey Jacobsen (Memphis Grizzlies), Luke Walton (Los Angeles Lakers), Josh Childress (Phoenix Suns), Jason Kapono (Philadelphia 76'ers), Kirk Snyder (Minnesota Timberwolves), Jamal Sampson (Sacramento Kings), Dijon Thompson (Phoenix Suns), Jordan Farmar (New Jersey Nets), Nick Young (Washington Wizards), Javaris Crittenton (Washington Wizards), DeMarcus Nelson (Golden State Warriors), DJ Strawberry (Phoenix Suns), Brook Lopez (Brooklyn Nets,), Robin Lopez (Portland Trailblazers), Trevor Ariza (Houston Rockets), Brandon Jennings (Detroit Pistons), Craig Smith (Los Angeles Clippers), Jrue Holiday (New Orleans Pelicans) and Derrick Favors (Utah Jazz). In January 2009, Dinos launched a new national high school basketball magazine. ​Dinos has also conducted camps like Fullcourt Press Lead Guard Camp and Fullcourt Press Fundamentals First Camp for the past eight years. 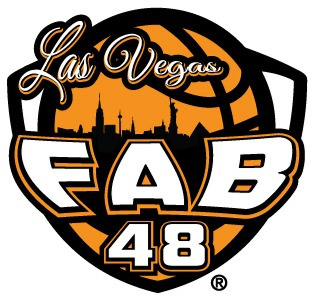 Other Fullcourt Press camps and events include the Fullcourt Press Cream of the Crop Challenge (July), Pangos Midnight Madness (July in Las Vegas), Fullcourt Press Fall Showcase (September), Fullcourt Press All-Frosh/Soph Camp (October) and Pangos All-Frosh/Soph Camps (October). In addition, Dinos has worked as the West Coast editor for Clark Francis’ Hoop Scoop and has served as a voting member of the GrassrootsHoops.net, Mr Basketball USA, Press-Telegram “Best in the West,” and SLAM Magazine All-American team balloting and as a coach at the Nike All-American Camp. Follow @PangosAllAmericanCamp on Instagram to get live alerts from the camp! Use the Hashtag #PangosAACamp on all social media outlets!